To celebrate the paperback publication of Dead Rules, I am pleased to have the author, Randy Russell on the blog to tell us a true ghost story! After a book signing in Burlington, North Carolina, a local resident shared a personal ghost encounter with me that involved a message from a recently deceased family member. Visits from family members recently passed, I have found, are the most common real ghost encounters people experience. I spoke at the event about the ways people experience ghosts and talked about the number of times people have told me they dreamt a ghost of a recently-passed loved one who, in the dream, tells them where something (often money) is hidden. When they get up the next day, they look in this dream-revealed location and that something (again, often money) is found. Apparently, it troubles people to no end when they die and forgot to tell a loved one where to find the rainy-day cash that was squirrelled away. Because I have heard multiple explicit examples of this type of ghost visit, I advise people when they do see a ghost to be sure to ask it where the money is. Up popped a hand from the seats in Burlington, followed by the woman's story of a ghost who recently appeared in her life. She had been staying in her father's house through the last days of his final illness. A cricket sounded (well, the sound of a cricket) following his death. It wouldn’t shut up, she said. The dutiful daughter tracked the cricket chirps all through the house over a period of three days. Finally, she isolated the sound of the cricket to her father's bedroom. After moving about the room, checking the closet, peering under the bed and behind various furnishings, she fixed the location of the cricket chirping being inside her father’s dresser. Once she approached the dresser, the cricket goes silent. She opened and closed each dresser drawer in sequence. When she opened the fourth drawer, the cricket sang out again. She removed the socks and underwear from the drawer. No cricket. But when she closed the empty drawer, the cricket started up again. So she removed the drawer itself and set it on the bed next to the items of clothing. The empty drawer started chirping. Frustrated and thinking she might be going crazy, the lady finally turned the drawer upside down. And there the cricket was. She reached for it and it jumped away. "I saw it, then it just left," she told me. "It simply wasn't there any longer." A cardstock business-size envelope had been taped to the bottom of the drawer. Inside, the woman discovered a large number of hundred-dollar bills. Over the course of several weeks, no other cash was found while clearing out her father's estate. And the cricket was never heard chirping inside the house again. This ghost encounter is special to me be it involves a ghost that was heard (not seen), because the message was not simply one of comfort, and because a living animal was used by the ghost as a messenger. When someone you know well dies, be sure to be kind to the animals that cross your path. They may have a message for you. A brilliant post and very thought provoking. Thank you Randy! 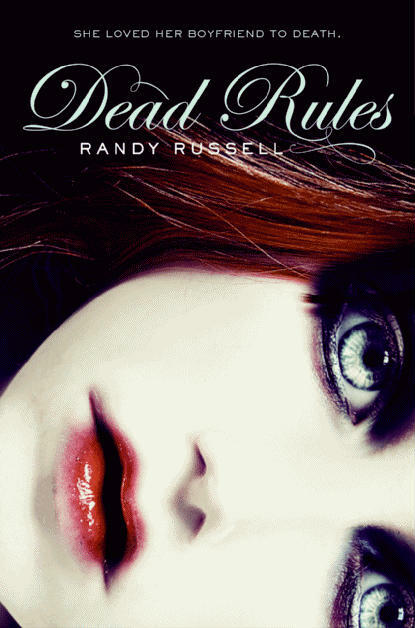 Quercus have been very generous and offered two copies of Dead Rules for a giveaway. All you have to do in order to be in with a chance of winning a copy is to tell us a ghostly experience you have had or one that you have heard about. Please leave you ghostly tales in the comments and two winners will be picked at random on the 18th of April. I actually grew up in a house where I'd often see ghosts as a child but I'd keep it secret because I didn't think anyone would believe me. One thing I saw that terrified me was a moving shadow. Many years later as an adult, I researched this and found out that shadow people are actually wicked spirits. Turns out when my sister and I were teens she came and confessed to me that she had seen a ghost in our home when she was younger. I hadn't told her about my sightings yet. Oh my God! I didn't realise there was such a thing as moving shadows which are wicked spirits! Scary! Awesome post. I'm very skeptical when it comes to ghost stories... But they are interesting sometimes. Though I hope no family members come visit me! ooh creepy, I love this. Thanks for sharing.